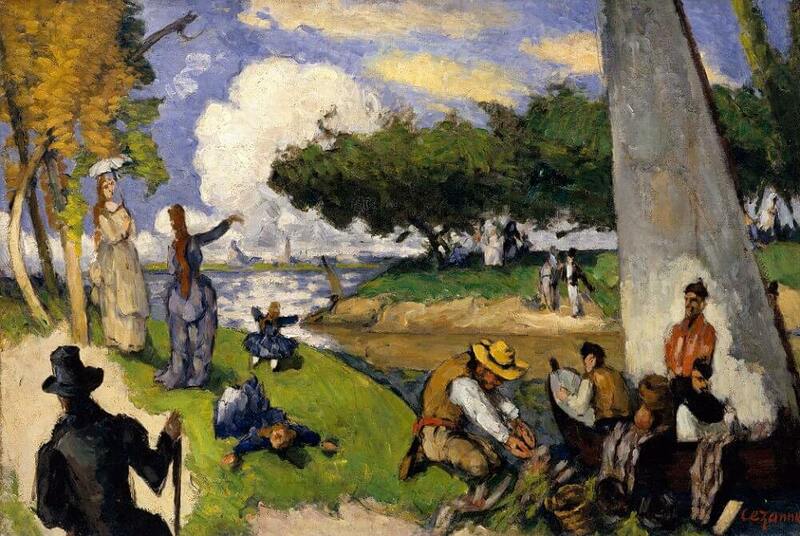 The Fishermen was shown at the third Impressionist exhibition, in 1877. 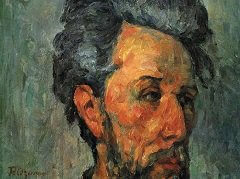 It is thought that the man shown from the back in the lower left corner was originally meant to depict an artist, perhaps Cézanne himself. 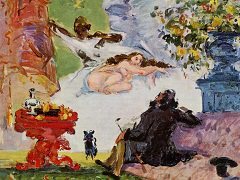 The imagery, a composite of scenes of leisure, derives from paintings by Manet and Monet from the 1860s. 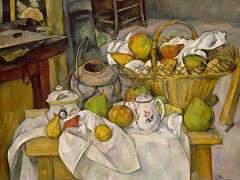 Underlying the Impressionist motifs are prototypes found in the work of Giorgione, Titian, and Veronese. 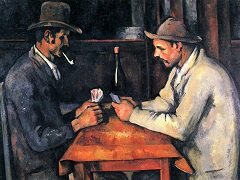 Cézanne often included references to Venetian painting when he was working in his pastoral mode - a strain in his art that culminated in the late pictures of bathers. 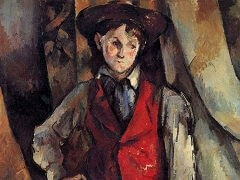 While the three works that Cézanne exhibited in 1874 at the first Impressionist exhibition were not fully in line with the Impressionist technique of quickly placing appliques of pigment on the canvas, he did eventually abandon his relatively dark palette in exchange for brilliant tones and began painting out-of-doors, encouraged by the Impressionist painter Camille Pissarro. 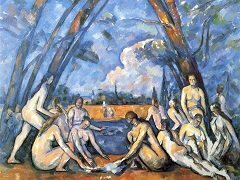 His The Large Bathers demonstrates a developed style and tonal scale in one of his first paintings of this theme, which recurs in his oeuvre. 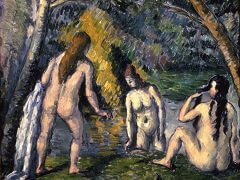 The landscape of Bathers has the brilliance of plein-air painting, while the figures, drawn from the artist's imagination (Cézanne rarely painted nudes from life), reconcile themselves within this setting. 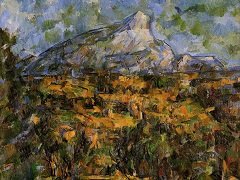 The complex process of drawing inspiration from these two sources, nature and memory, would occupy Cézanne in his later work.